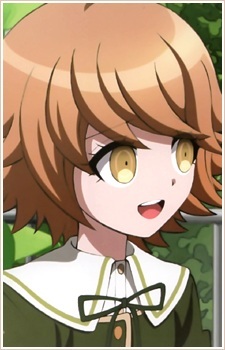 Chihiro Fujisaki is a genius programmer behind numerous innovative software. Chihiro fixed the laptop in the library and created a program called "Alter Ego." It is revealed in the second chapter that Chihiro is a boy. Chihiro wished to be stronger because people kept calling him weak. He started crossdressing because he thought people would stop calling him weak. He looks up to Oowada Mondo and wants to be more like him. He was later murdered by Oowada.